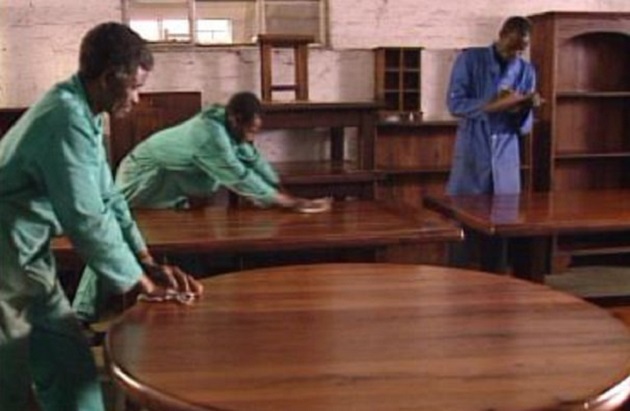 ZIMBABWE – SMEs empowerment is vital in any country’s economy and it increases employment opportunities. Undoubtedly, lack competitiveness is at the core of our economic problems. Lack of competitiveness has remained stuck in our system like a cancer cell in the bone marrow due to three forces: that is, high cost drivers, low productivity and lack of confidence (or war of negative perception) besetting the economy. The large part of 2015 saw Government, business, development partners and other stakeholders spending significant time on addressing competitiveness issues which saw the development of the national competitiveness report (NCR), Rapid Results Approach (RRA) and other institutional reforms like the establishment of the National Competitiveness Commission (NCC) from the National Incomes and Pricing Commission (NIPC). This year ALL my discussions will be rallying the nation in strengthening national competitiveness in areas of high cost drivers, addressing productivity and country perceptions. As an introductory article, this week, I will focus on unpacking uncompetitiveness in Zimbabwe. The major causes of uncompetitiveness of local products are the higher costs of production emanating from high mark-ups to sustain high overheads epitomised by Zim Dollar hangover, high utility tariffs, finance charges and wages and salaries which are higher than those obtaining in neighbouring countries and beyond. At the heart of major cost drivers fuelling the country’s cost include but not limited to, municipality tariffs, environmental management fees, national social security authority fees and some non-tariff barriers such fees and/or tariffs increase the cost of doing business in Zimbabwe. In addition, the continued appreciation of the United States Dollar against the country’s major trading partners’ currencies has made imports cheaper thereby making local goods uncompetitive. The combination of the above uncompetitive factors has continued to put pressure on the balance of payments position of the country as imports of finished goods have become the order of the day leading to company closures and job losses. At this juncture, given the lack of competiveness and its negative effects on the economy, it doesn’t make sense to bargain for wage and salary increases and raise prices of utilities within the national economy. Instead, as suggested in the recent monetary policy, the prevailing circumstances call for a downward adjustment in the prices of goods and services in order to promote competitiveness and ultimately for the recovery of the economy because further prices increases would only serve to choke the economy. However, what is disheartening is that, notwithstanding this prudent advice, we are still witnessing renewed efforts to raise prices of utilities particularly from the Zimbabwe Electricity Supply Authority (ZESA). This move is retrogressive, insincere and clear sign of lack of appreciation of the reality. On a refreshing note, in the course of 2015, the Monetary Authorities’ responded to the national challenge of lack of competitiveness due to high mark ups and high interest rates by procuring the small denomination coins, bond coins, as change for the US$ paper money to deal with the rounding up of prices by businesses and calling on banks to reduce interest rates, respectively. The introduction of small denomination coins gave a positive impact on the prices of goods and services. In the same way, it is also heartening to note that Government has approved in principle the National Competitiveness Commission which is mandated come up with measures aimed at restoring national competitiveness. However, Zimbabwe needs to pay serious attention in reforming parastatals with emphasis on the synchronisation of overheads, delivery and revenues. The parastatals must be run as commercial enterprises rather than act as tick which lives on sucking treasury. To motivate, this approach, Government can enforce performance based salaries within parastatals. With respect to low productivity, the country has become uncompetitive because of a combination of poor work ethics (poor work attitudes and lack of discipline) and the use of antiquated plant and machinery within the domestic economy due to lack of capital or financial resources to replace the old equipment. This challenge would need to be partly addressed by finalising the amending the Labour Act in order to bring it in sync with regional and international best practice to foster productivity. At the same time, mobilisation of financial resources for the modernisation of plant and equipment is also critical. In this regards, there is need to mobilise (by all stakeholders) resources to upgrade some of the obsolete equipment. In addition, the sluggish performance of the utilities sector both in terms of cost and supply, especially energy inefficiency, is having a negative impact on productivity. The issue of addressing structural rigidities within the energy sector has been moving on a good pace thanks to the Zim-China mega deals which saw Chinese investors investing in electricity generation. In dealing with rigidities of labour policy, Government must expedite amendments of the Labour Act to be in sync with best practice which is necessary in order to improve competitiveness in the production of goods and services. The current regulations which make it more expensive to retrench than to maintain an employee are not conducive to production neither are they conducive to even contemplate to increase employment. These regulations are now applicable to about 40percent of the economy which is formal and the bigger proportion of 60percent informal sector not under the auspices of the Labour Act. Business linkages can also be used as a solution to low productivity. As proposed by the Central Bank and the recent national budget, business linkages should vigorously be promoted across all sectors of the economy for the empowerment of SMEs and increasing employment. This should also be a solution to rebalance the economy. In agriculture, for example, such linkage programmes could be in the form of big retailers providing market access (on a quota basis) to producers of onions, tomatoes, carrots etc as opposed to offloading all produce to middlemen. With respect to lack of confidence or war of negative perception, negative perceptions increases country risk which result in negative effects on liquidity and causes despair and despondency amongst many people within the country thereby undermining the country’s competitiveness. This situation has made the country uncompetitive in attracting foreign direct investment within the region. In 2013, Zimbabwe attracted FDIs constituting 1,1 percent of its Gross Domestic Product as compare to its 25 percent share of GDP in the mid 1990s. It is however, refreshing to note that Government is addressing this phenomenon by improving the business investment climate to ensure that Zimbabwe is a good investment destination and to promote the ease of doing business in the country. The Reserve Bank is buttressing these Government initiatives by engaging the diasporans through various outreach programmes to encourage the diasporans to invest in their country like what is happening throughout the world. To sum up, the drive to improve competitiveness is a collective effort. It requires all of us from our respective constituencies to work as a united front in addressing competitiveness of our beloved country. For the next three months or so I will be focusing on how to enhance productivity borrowing on current programmes led by Government and best practices.